Last March 1, 2015, I successfully completed two runs for two scholarship programs. And these were for the scholars of AmCham and for the scholars of Ateneo Medicine students. Yes, two runs at the same day! I took first the Ateneo Run for Your Life 2 which was a 16K-run that started at 4:45am. 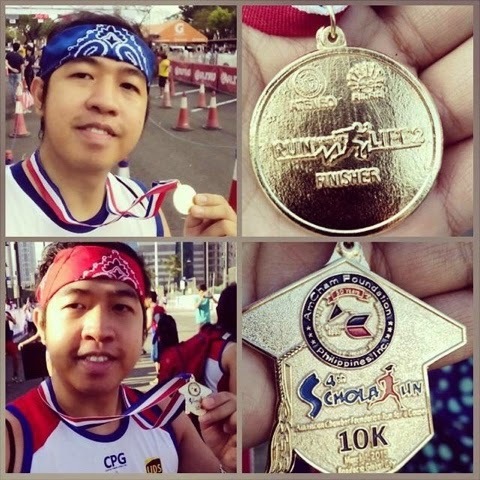 Afterwards, I immediately rushed to BGC to run for the 4TH AmCham ScholaRun, a 10K-run. Both were success!